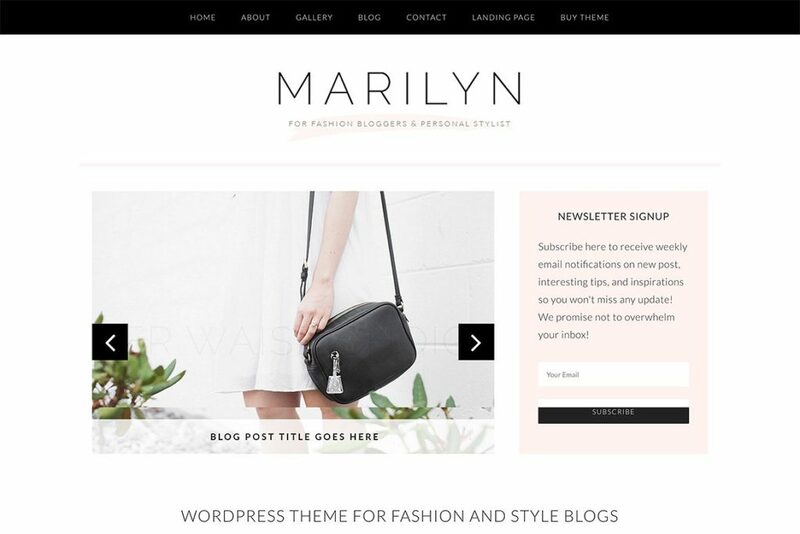 Meet Marilyn, a blogger WordPress theme – If there’s anything we know about Marilyn, it’s that she knows how to get attention. She’s a bombshell, built to wow and delight with bold, functional style. Perfect for the fashion blogger with bold, beautiful style, Marilyn’s as functional as she is customizable. The best part? She’s experienced in convincing calls-to-action that help you optimize the audience you have for list-building, SEO and social engagement. 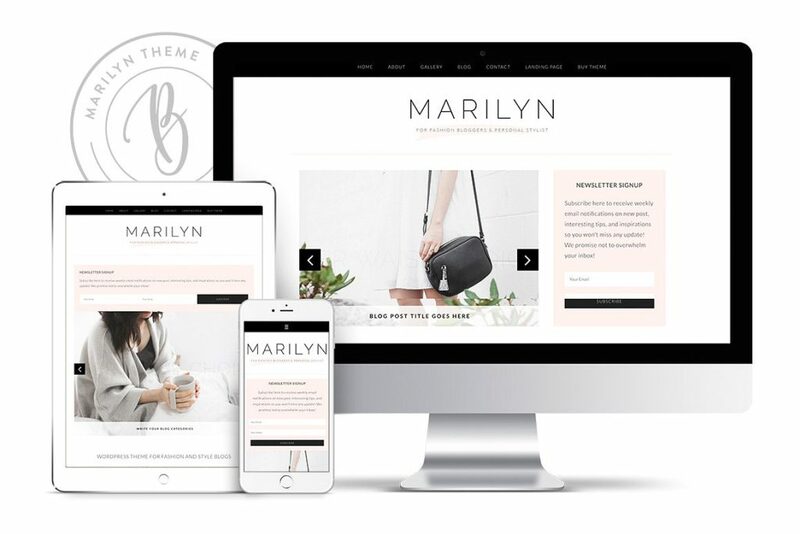 A clean and feminine blogger WordPress theme. 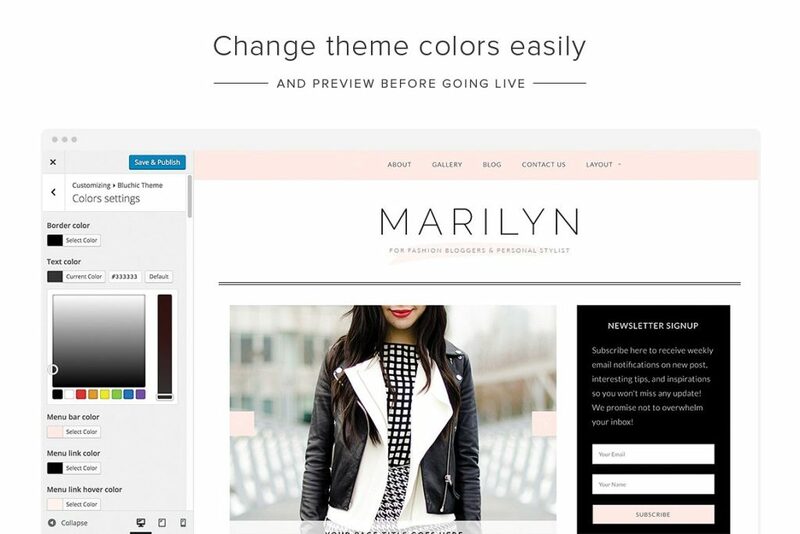 Marilyn is perfect for the fashion and lifestyle blogger.